someone deliberately disappearing to try to elude justice. (a) Litigation will be avoided wherever possible. People will be encouraged to start court proceedings to resolve disputes only as a last resort, and after using other more appropriate means when available. (b) Litigation will be less adversarial and more co-operative. There will be an expectation of openness and co-operation between parties from the outset, supported by pre-litigation protocols on disclosure and experts. (c) Litigation will be less complex. There will be a single set of rules applying to the High Court and the county courts. The rules will be simpler. (d) The timescale of litigation will be shorter and more certain. All cases will progress to trial in accordance with a timetable set and monitored by the court. (e) The cost of litigation will be more affordable, more predictable, and more proportionate to the value and complexity of individual cases. There will be fixed costs for cases on the fast track. Estimates of costs for multi track cases will be published or approved by the court. (f) Parties of limited financial means will be able to conduct litigation on a more equal footing. Litigants who are not legally represented will be able to get more help from advice services and from the courts. (g) There will be clear lines of judicial and administrative responsibility for the civil justice system. The Head of Civil Justice will have overall responsibility for the civil justice system. (h) The structure of the courts and the deployment of judges will be designed to meet the needs of litigants. Heavier and more complex civil cases will be concentrated at trial centres which have the resources needed, including specialist judges, to ensure that the work is dealt with effectively. (i) Judges will be deployed effectively so that they can manage litigation in accordance with the new rules and protocols. Judges will be given the training they need to manage cases. (j) The civil justice system will be responsive to the needs of litigants. Courts will provide advice and assistance to litigants through court based or duty advice & assistance schemes, especially in courts with substantial levels of debt and housing work. the defendant has 14 days from the date the Court serves them with your claim to either supply their defence, admission, counterclaim or an acknowledgement of receipt of the claim to the Court. the written law of a country, also called a statute. An Act sets out legal rules, and has normally been passed by both Houses of Parliament in the form of a Bill and agreed to by the Crown. proceedings raised by a person in a civil court seeking enforcement of a legal right against another (the defender). a pause in court proceedings, or to put off the Hearing of a case to a later date. a signed statement made on oath. Some cases or evidence may be dealt with by affidavit evidence. the undertaking and propose by a witness, who does not wish to swear an oath, to tell the truth when giving evidence in court. an agent does not act upon his or her own behalf but only on behalf of the claimant or defendant. additional damages imposed on a defendant whose conduct added to the injury of the claimant by subjecting him or her to distress, embarrassment or humiliation. the process of deciding which track the case should follow. sometimes referred to as appropriate dispute resolution. It covers a range of options for resolving disputes including mediation, adjudication, arbitration, conciliation and ombudsman schemes. Sometimes these are used alongside courts and tribunals; sometimes they are alternatives to courts and tribunals. a method of enforcement available against a judgment debtor who is employment. A sum of money is sent weekly or monthly straight to the judgment creditor direct by judgment debtor's employer. a holiday under the Banking and Financial Dealings Act 1971 in the part of the United Kingdom where service is to take place. where a person is unable to pay his or her debts, a creditor may apply to the court for that person's sequestration, that is to have that person declared bankrupt. any day except Saturday, Sunday, a bank holiday, Good Friday or Christmas Day. a hearing of a case put out for the hearing at the instance of the court and not on the motion of a party. the process by which the district judge controls the progress of a case by making orders and imposing sanctions. the legal basis of your claim. a demand made to a person to pay a sum of money in, or comply with, an order of the court. a court that deals with matters concerning private rights and not offences against the state. are a procedural code with the overriding objective of enabling the courts to deal with cases justly. They govern the way in which a case in Court is conducted in England and Wales. a formal request (for example, for money or that something is done or stopped from happening) that starts court proceedings. the party making a claim using the law, usually through the courts against another party. the form that starts a case and where the claimant explains what they are asking for. is any legally binding agreement voluntarily entered into by two or more parties that places an obligation on each party to do or not do something for one or more of the other parties and that gives each party the right to demand the performance of whatever is promised to them by the other parties. is a type of intellectual property legally protecting the creator of an original work by giving them exclusive rights to it, usually for a set period of time. The holder of the copyright is able to give permission to others to adapt the work, permission to perform a work, permission to benefit financially and other rights. what solicitors charge for the legal work they do (also known as "legal costs"). May also include court fees and other expenses. a claim by the defendant against a claimant. legal decision handed down by County Courts. is a legal document or proclamation in which a court orders a person to perform a specific act, prohibits him from performing an act, sets a court date, or legally establishes something. a person to whom another person (or debtor) is obliged in some monetary or other obligation. a sum of money awarded by a court as compensation for a wrong or injury. the official date when a party is deemed to have received a document. the activity of making individuals and businesses pay debts, usually ones that they have not paid on time or that they are refusing to pay. a person obliged to pay some monetary or other obligation to another (the creditor). using legal process to compel someone to pay a debt. the outcome of a completed court case "decided" by the judge. a judgment entered because a defendant has not filed an acknowledgment or defence to a claim within the time specified by the rules. a person who appears in court because they are being sued. the rules may provide that something has taken place. a hearing where the court decides or the parties agree (with the approval of the judge) the instructions they will follow to get the case ready for trial. setting out how a case will be dealt with or what the parties must do. there are 2 versions of the Directions Questionnaire, one for cases that are provisionally allocated to the small claims track and one for cases which may be allocated to the Fast or Multi-Track. Following the receipt of a defence the court will make a provisional decision as to which track is appropriate based on the value of the claim. The court will then send a notice to all parties requiring completion of the Directions Questionnaire; the notice may also contain other directions. For litigants in person the court will send out the appropriate Direction Questionnaire. The deadline for completion is usually 14 days. Where a case is likely to be allocated to the Fast or Multi-Track parties will be required to file proposed or agreed Directions. The time by which these completed Direction Questionnaires and accompanying documents must be filed is increased and parties will have at least 28 days from the deemed date of service of the notice in which to file the documents. All parties will be required to serve a copy of the completed Directions Questionnaire and any other documents required by the notice on all other parties. release from an order or obligation. the obligaation on each party to notify the other of any documents or facts they intend to use at a hearing. It is a continuing obligation until proceedings are concluded. Standard Disclosure and Standard Discovery documents forming part of a pre-action claim or court claim are given a very wide definition: anything in which information of any description is recorded. end your claim before it's dealt with by a judge. a hearing after judgment when the amount due to the claimant is determined by the court. the problem you and the other party are arguing about. sit throughout England and Wales in the county courts and District Registries of the High Court. They try the majority of civil claims although those over £25,000 may be heard either by a circuit judge or by a district judge. Most housing, repossession and insolvency cases, as well as the assessment of damages, are heard by district judges. where a person lives or a company or body has its registered address or seat. is held at your local council office in England and Wales. Enter the postcode you are searching under on the following site to find out who to contact about a specific area http://www.aboutmyvote.co.uk. proceedings to force someone to obey a court order – for example, to pay you money or return something belonging to you. in addition to laying down a catalogue of civil and political rights and freedoms, the European Convention on Human Rights set up a mechanism for the enforcement of the obligations entered into by contracting states. Three institutions were entrusted with this responsibility: the European Commission of Human Rights (set up in 1954), the European Court of Human Rights (set up in 1959) and the Committee of Ministers of the Council of Europe, the latter organisation being composed of the Ministers of Foreign Affairs of the member states or their representatives. a proof in a civil proceedings, witnesses take the oath or affirm to tell the truth and given oral evidence in court in answer to questions. Sometimes written evidence (affidavit evidence) is allowed. sending the documents you are going to rely on to prove your case to the other party (and sometimes to the court as well). the procedure for enforcing an order of the court. these are damages sought where the defendant's wilful acts were extreme for example malicious, violent, fraudulent or grossly reckless such as example an ex-partner sets fire to the claimant's vehicle. the costs of the proceedings that the court may order a successful party to recover from an unsuccessful party to proceedings. a contract whose terms have been clearly expressed in words, whether spoken or in writing. written contract an express contract that is written and has been signed by the parties who will be obligated to do something or not do something under its terms. 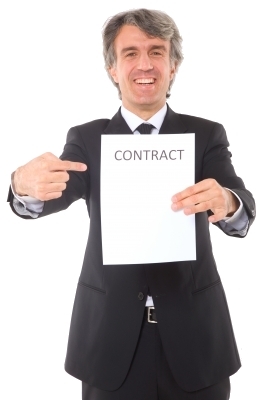 oral contract an express contract that is not in writing or has not yet been signed by the parties who will be obligated to do or not do something under its terms. case management track for cases of up to £25,000 in value which can be heard in one day or less and that do not qualify for the small claims track. any proceedings called before a judge. evidence gathered by one person from another person of which the first person had no direct experience. implied-in-fact contract a contract based on the understanding or an assumption of the parties and evidenced by the parties, for example, if a person drives her vehicle to a service station and opens the gasoline tank so that the service attendant can fill it, there is an implied promise on the part of the driver to pay for the gasoline, even if nothing is said between the driver and the attendant. implied-in-law contract a contractual obligation imposed by the law because of a party's conduct or a special relationship between parties or to prevent unjust enrichment. For example, when someone receives and uses goods that were intended for another, the law will impose an obligation on the recipient of the goods to pay for them. The obligation is imposed even if there is opposition or no assent from the party whom the obligation is being imposed upon. the state of being unable to pay one's debts. an accountant or solicitor, qualified in terms of the Insolvency Act 1986 to act as liquidator or supervisor in relation to a company unable to pay its debts, or as trustee or supervisor in relation to an individual unable to pay his or her debts. the judicial office holder who presides over proceedings. (not judgement) the decision of a court setting out its reasons for the decision. a party against which an unsatisfied court decision is awarded; a person who is obligated to satisfy a court decision. the UK government department responsible for registering land and property ownership in England and Wales. It gives you online access to every property's registered owner. This can aid a claimant/judgment creditor in enforcing their judgment http://www.landregistry.gov.uk. is a person who is not legally qualified, but accompanies another during a court hearing and speaks to the court. The person may be a spouse, friend or colleague. is an exchange of information between two individuals in a confidential relationship. A privileged communication must be kept in confidence by the recipient for the benefit of the communicator. Even where it is relevant to a legal case, a privileged communication cannot be used as evidence in court. The established privileged communications are those between husband and wife, clergy and parishioner, doctor and patient, and solicitor and client. unlike a Letter of Claim there is no official legal form that a Letter Before Action has to take. It should include a short description of what the debt is owed for with invoice reference and date, how much is owed, for how long, and your payment information. Then set a final deadline for payment. This can be any reasonable period, from one week to 30 days and add they may have to pay court costs if the case goes further. is a formal letter to your defendant requesting payment of the debt to be made within a set deadline and must contain specific information. It is effectively the 'final warning' before legal action is commenced. is a comprehensive agreement usually including taking up references and credit checks, drawing up a comprehensive tenancy agreement, making regular inspections of the property and advising you all is in order, Professional Inventory Service, rent collection and accounting to you monthly, check in and check out reporting, full property management, EPC Certificates, Gas Certificates and advising on any repairs that are necessary. In addition it includes transferring of utilities, key holding services, arranging payments, property inspections, final inspection and advising on deposit procedures. They may also take charge of all the property maintenance requirements including quotes for work and arranging repairs, out of hours emergency repairs etc. is an agreement usually based on a fixed fee with no tenant - no fee. The service markets the property with valuation and photographs, accompanies viewings, completes inventory, does tenant referencing, provides tenancy agreement, lodges deposit with Deposit Scheme, completes tenant check-in, collects first month's rent and tenancy renewal. is an agreement usually based on rents being received by the agent using standing order or direct debit and are passed to the Landlords chosen account as soon as payment has cleared. Rent reminders are sent out and emergency inspections are undertaken in the+ event of non payment. The Landlord is usually responsible for initiating and settling costs of any legal action should this prove necessary. is the time limit within which a claimant must bring their claim, or give notice of a claim to the other party. County Court claims in England and Wales usually have a limit of 6 years and come under the Limitation Act 1980. If the limitation period has expired the claim will be "statute-barred" and the claimant may be prevented from bringing a claim against the alleged defendant. If a claim is brought out of time, the defendant will be able to plead the defence of "limitation". The claimant will then have the burden of proving that the cause of action arose within the relevant statutory period. the procedure for winding up and dissolving a limited company. the person appointed to collect the assets, adjust and settle claims of creditors of a company in liquidation. someone who acts for themselves without using a lawyer or lay representative. someone authorised by the court to conduct a case on behalf of a person under 18 or a person under a mental disability or a person who has requested to use a litigation friend. is somebody who accompanies a party in person to a court hearing. They do not speak to the court, they may take notes, may quietly make suggestions, and give advice. process taking place outside a court to resolve a dispute. case management regime applicable to cases of over £25,000 in value which do not qualify for the fast track. in court proceedings the sworn undertaking by a witness to give truthful evidence. not influenced by personal feelings, interpretations or prejudice; based on facts; unbiased. a communication from one party to the other suggesting a settlement / agreement to end the claim before issuing proceedings, before court or before judgment. the online equivalent of alternative dispute resolution (ADR) However, ODR adds to these traditional means of resolving disputes by applying innovative techniques and online technologies to the process. evidence of what the witness thinks, believes, or infers in regard to facts in dispute, as distinguished from personal knowledge of the facts themselves. This type of evidence is only allowed to be expressed by an expert witness. It may be used only if scientific, technical, or specialized knowledge will aid the Judge in understanding the evidence or determining a fact in issue. under Civil Procedure Rules Part 36 describes the rules which apply if a party wishes to make a formal offer to settle including the costs consequences. details of a case, applies to the claim, the defence and a counterclaim. common law preventing one person from misrepresenting his or her goods or services as being the goods and services of another party or that his or her goods or services have an association or connection with another party when this is not true. is a type of intellectual property that confers upon the creator of an invention the sole right to make, use, and sell that invention, usually for a limited time. A writ by which civil court proceedings are initiated in which some administrative order of the court is required for something to be done which requires judicial authority. It is distinct from a summons in an action which is to enforce a legal right against a person (the defender). the Rules about how court cases must be prepared or presented usually presented as formal guidance notes. sets out what needs to be done before issuing a claim. It describes the conduct the court will normally expect of the prospective parties prior to the start of proceedings. If it is necessary to issue a claim, a court can, and usually will, take into account the extent of the parties' compliance with the relevant pre-action protocol. the decision of a court regarded as a source of law or authority in the decision of a later case. a short court hearing at which a judge considers how ready all parties in a case may be for the trial and fixes a timetable where necessary. the right of a party to refuse to disclose a document or produce a document or to refuse to answer questions on the ground of some special interest recognised by law. the 'overriding objective', contained in the Civil Procedure Rules, is designed to guide civil courts in everything they do. It states that the courts must deal with cases justly, in a way which is proportionate to the amount of money involved, the importance of the case, the complexity of the issues and the financial position of each party. the person suing in a civil action seeking an order against a defender. a statement setting out the factual and legal response of a party to proceedings raised against him or her. a registered physical office address is required for incorporated organizations to receive official correspondence and formal notices from government departments, investors, banks, shareholders and the general public. the way you can check businesses or people for CCJs or other court records. You can get an instant report showing that person's or business's CCJs, high court judgments, court orders or fines http://www.trustonline.org.uk. the relief that a claimant seeks – for instance, damages. the claimant's answer to a defence (can be unnecessary in small claims cases). the means by which court documents are brought to the attention of the parties. if a party has a good reason for not attending, and their case had a reasonable prospect of success, the district judge may allow a rehearing. a term often used to mean the small claims procedure in the County Court – a misnomer because there is no small claims court as such. the special case management regime applicable to cases of a limited financial value. is a lawyer who provides clients with expert legal advice and assistance and prepares legal documents. They have passes the Law Society examinations and are on the Law Society's roll of Solicitors. a contract containing set terms that is repeatedly used and usually mass produced or pre-printed by a party or an industry with only a few blank spaces to be filled in and with a few predetermined alternate and optional clauses to choose from to accommodate slight additions and modifications. or not do something under its terms. formal confirmation that the contents of a court document are true. a court order that brings a claim to an end without a judgment on the merits of the claim. a contract whereby a party procures the performance of a part or all of his obligations under another contract by hiring another party to perform those obligations for him. the process where if the district judge decides that any costs are payable in a small claims case, the amount will be decided there and then at the hearing. procedure under Part 24 of Civil Procedure Rules for obtaining a judgment without a full hearing. enforces a legal right against a person (the defender). form a contract between the buyer and seller. They are designed to avoid misunderstandings and disputes over payments, deliveries, ownership of goods, etc. They make sure that you are protected and that you can rely on proper written terms of trade, should a dispute arise. one of the special case management regimes under Civil Procedure Rules includes small claims track, fast track and multi-track. cases where the claimant leaves the amount of the claim to be determined by the Court. Where a claim is made "totally without merit" it is described as vexatious. Claimants making vexatious claims risk an order restraining them from bringing or pursuing claims and applications without the express permission of the court. a document issued by a legal or government official authorizing the police or another body to make an arrest, search premises, or carry out some other action relating to the administration of justice. The court issues a warrant authorising an enforcement officer to pursue a money judgment on behalf of a judgment creditor. enforces a judgment for the return of particular goods or items. correspondence between the parties that is not seen by the court, except where costs are being examined. It is usually in the form of letters that the parties send with a view to settling the case. a written order issued by a court, commanding the party to whom it is addressed to perform or cease performing a specified act.